Thaddaeus McAdams/FilmMagicLil Wayne‘s Lil’ Weezyana Fest is set to return in August for a second run. 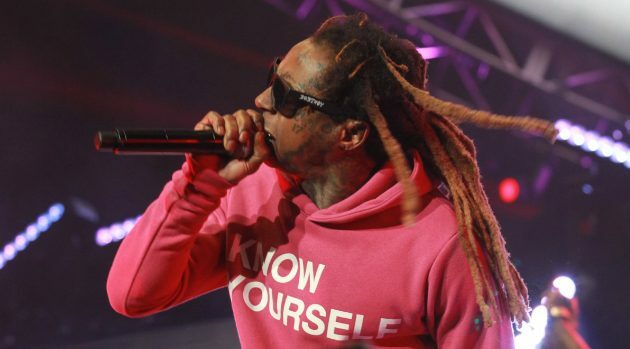 The festival will take place in Wayne’s hometown of New Orleans and the concert bill will include 2 Chainz; both rappers will perform together as superduo ColleGrove. Yet-to-be-announced “special guests” will also appear. Wayne has been one busy man this year — the rapper recently collaborated with Pitbull and hip-hop artist Kent Jones for a remix version of Jones’ hit single, “Don’t Mind,” released a new track titled “Like Dat” with PARTYNEXTDOOR and Jeremih, and also worked with Imagine Dragons, X Ambassadors, Logic, Wiz Khalifa and Ty Dolla $ign for their track “Sucker for Pain”, which is be featured on the forthcoming Suicide Squad movie soundtrack. The 2016 Lil’ Weezyana Fest goes down August 27 at Bold Sphere Music at Champions Square in New Orleans, Louisiana. Visit Ticketmaster to purchase presale tickets, which are on sale now. General public tickets will go on sale Friday, July 15 at 10 a.m. CT.